Most likely you have seen the online ads for the “flat belly diet” or other diets promising to decrease your waist and “melt” away abdominal fat by eating and avoiding certain foods. Some of these adds show a picture of a banana and immediately get you questioning how healthy are bananas? Is there any truth to these diet claims? Can you actually eat certain foods to help flatten your tummy? Unfortunately, the answer is no. There is no research to indicate certain foods cause you to have excess belly fat. Excess belly fat and fat all over the body comes from excess calories that are not used for energy by the body and become stored as fat. Extra calories can come from any food, no one in particular. Calories in excess come from over eating at one particular meal or taking in too many calories throughout the day. Wondering why some people store fat in their stomach, while others store it in their hips? Genetics play a large role in where our fat is stored. If your mother tends to store fat in her midsection, chances are you will do the same. Menopause does play a role in fat accumulation, but researchers are still debating why this happens. Here are a few thoughts… Our metabolism slows down as we age, which means we burn calories at a slower rate. We also tend to lose muscle as we age, especially if we are not exercising. One study found that as women approach menopause, their rate of physical activity tends to decline. Decreased physical activity plus a slower metabolism is an easy way to gain weight, even if it comes on slowly. Watch your caloric intake: Eating too many calories during the day or filling up on high calorie foods (think restaurant/fast food) can leave you with more calories than you need for energy. Those excess calories are stored as fat and depending on your genetics may be stored in your midsection. Watch portion sizes: Overeating is a quick way to take on excess calories. When we consume too many calories in one sitting, they are stored as fat. Even if you go all day without eating, don’t make up for it in one meal, because that can lead to fat storage. Eat the right kind of fat: As Americans, we tend to eat high amounts of saturated fat (the “bad” kind) and low amounts of mono and polyunsaturated fats (the “good” kind). Work on replacing those saturated fats, which include high fat meats, cheese, full fat dairy, butter and cream with mono and polyunsaturated fats, which include fatty fish, nuts, seeds, olive oil, and avocadoes. Exercise regularly: Exercise is not only great to help burn calories, but it also helps build muscle, which we gradually lose as we age. Recommendations for exercise are 30 minutes, 5 days a week of moderate intensity exercise. Main point; don’t believe the hype of the “flat belly diets”. Work on making healthier food choices and get in the exercise to live a long, happy, and healthy life! http://www.nutritiontulsa.com/wp-content/uploads/2017/04/nct-logo.png 0 0 Laurenp http://www.nutritiontulsa.com/wp-content/uploads/2017/04/nct-logo.png Laurenp2014-07-03 14:30:562014-07-03 14:30:56The Flat Belly Diet…Busted! Saturated Fat: Is It Really Bad? Saturated fat has always been labeled as a “bad” fat and thought to increase your risk for cardiovascular disease. However, recent headlines have claimed saturated fat is no longer “bad” based on a study done in March 2014 from the Annals of Internal Medicine. This study concluded that our current dietary guidelines, which limits saturated fat to less than 10% of calories and encourages polyunsaturated fat, is not supported by sound evidence. The study was based on 72 individual studies, which looked at how different fats influence risk of cardiac events. According to the study, there was no clear difference in heart risk depending on whether people consumed low or high amounts of polyunsaturated or saturated fat. Many prominent scientists are criticizing the study for it’s multiple flaws and some are even calling for a retraction. Due to the multiple flaws in the study, most health professionals are sticking with the dietary guidelines until further research is done. The dietary guidelines are based on a body of evidence linking saturated fats to cardiovascular disease risk, so we should not discount this information based off of one poorly conducted study. http://www.nutritiontulsa.com/wp-content/uploads/2017/04/nct-logo.png 0 0 Laurenp http://www.nutritiontulsa.com/wp-content/uploads/2017/04/nct-logo.png Laurenp2014-06-24 15:37:312014-06-24 15:37:31Saturated Fat: Is It Really Bad? Keep it simple- check the ingredients list and choose popcorn with very few ingredients, such as oil and salt only. Stay away from partially hydrogenated oils, which will be listed under ingredients. Check serving size- Depending on which popcorn you buy, serving sizes can be anywhere from ½ cup to 4 cups. Make sure you aren’t doubling or tripling up on calories, fat and sodium. Make your own- Try making your own popcorn since this is the best way to control for added ingredients. Air poppers are great because they add no extra fat. When making your own, choose a small amount of healthy oils, such as olive or canola and add only a sprinkle of salt if needed. Add seasonings- Try adding cinnamon, cayenne pepper or your favorite spice-herb mixture to add flavor rather than sodium. Detoxification diets are popular among celebrities and those that want to shed a few pounds or boost energy. These diets can last anywhere from a few days to a few weeks. They typically involve restricting certain foods or adding in special supplements or products. Unfortunately, most of the detox diets are a waste of time and can be harmful. However, not all detox diets are created equal. The thing to keep in mind is our body naturally detoxifies everyday through our liver and other parts of our body, such as our skin and kidneys. 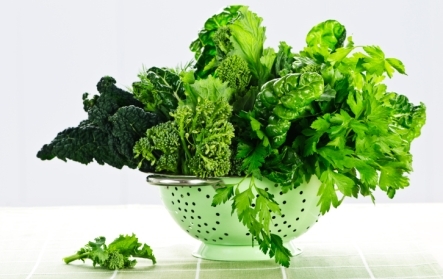 Good nutrition helps to support the body’s detoxification processes. Add in more fruits, vegetables, and legumes to increase nutrients that help drive the detoxification process. These foods also supply antioxidants, which are helpful in ridding the body of free radicals created during detoxification. When it comes to fasting, some studies show moderately restricting calories can improve health and prolong life. However, simply improving the quality of your food choices may offer similar benefits. When considering a detox diet, keep a few things in mind. Avoid plans that eliminate most food groups. Stay away from diets that drastically restrict calories. If you have issues with blood sugar, avoid diets that don’t allow regular balanced meals. If you are taking medication or have a health condition, consult a qualified health professional, such as a physician or registered dietitian before starting a detox diet. Ginger is an herb and can be used fresh, dried and powdered, candied, pickled, or as a juice or oil. Ginger has been around for years and was traditionally used for colds, fever, nausea, and arthritis. Research supports ginger’s use for motion sickness, and relief of nausea and vomiting. Recent studies indicate specific plant chemicals found in ginger called gingerols are thought to have antioxidant, anti-inflammatory and gastro protective effects. Ginger’s anti-inflammatory effects are currently being studied in cancer prevention. Some studies are showing ginger may reduce the spread of cancer cells and increase the death of cancer cells in people with a high risk for colorectal cancer. Fresh ginger is going to be the best choice as it contains higher amounts of the antioxidants gingerols. 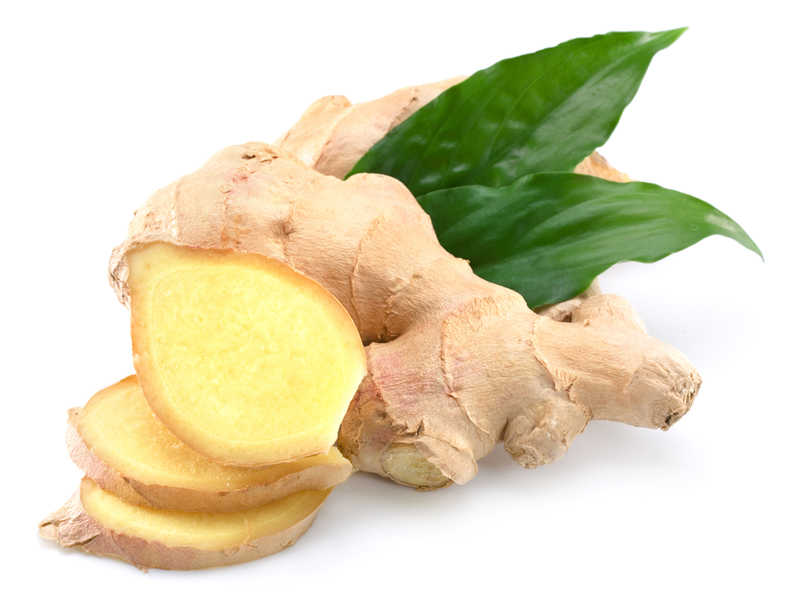 Add fresh ginger to meat, poultry or fish marinades or add to soups, salads, stir-fries, and baked goods. Fresh ginger is also great with sushi to help cleanse the palate. Remember if you are not used to eating ginger, it has a strong, pungent flavor so a little bit goes a long way. We have heard of trans fats for some time now and most people try to avoid them when possible, but what exactly are trans fats, where do they come from, and why is the FDA trying to ban them? Trans fats are a type of fat that naturally occur in small amounts in beef, lamb, and full fat dairy products. Most of the trans fats we consume come from processing liquid vegetable oil into a solid fat through a process called hydrogenation. This was done years ago to enhance the flavor, texture, and shelf life of many processed foods, such as margarine, ready-made frosting, buttery popcorn, and fried foods. Unfortunately, these trans fats raise LDL “bad” cholesterol and lower HDL “good” cholesterol, which leads to increased risk for heart disease. The FDA is working to remove partially hydrogenated oils (a.k.a. trans fats) from the “generally recognized as safe” (GRAS) list of approved food additives. Once finalized, food manufactures will no longer be able to use partially hydrogenated oils in their food products unless the FDA gives prior consent to do so. Elimination of this fat from the food supply could prevent 10,000-20,000 coronary events and 3,000-7,000 coronary deaths annually, according to the Centers for Disease Control and Prevention. Currently products that contain less than .5 grams of trans fat per serving or less can list the amount as zero grams on the nutrition label. Once the FDA’s ruling to ban trans fats is completed, companies will no longer be able to take advantage of this loophole, meaning zero trans fats will actually mean zero trans fats. Soy is a rich source of high quality protein, fiber, and 12 essential nutrients. However, there has been much debate over this near-perfect food making it one of the most widely studied foods on earth. In years past, soy products were thought to increase breast cancer and cause adverse hormonal effects on men. In recent years, scientists have demonstrated this not to be true. In fact, new studies are indicating soy products may be linked to either decreased reoccurrence of breast cancer or decreased deaths in women with breast cancer. 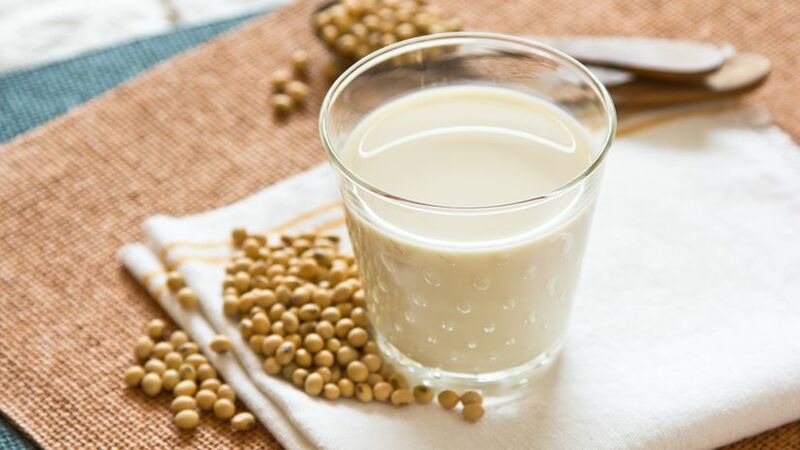 For years, soy has been a staple in many Asian countries where chronic disease rates are lower than in the U.S. Soy has been linked to enhanced bone health, reduced wrinkling, fewer hot flashes, heart health and cancer prevention. There are multiple ways soy may help the heart, including lowering blood pressure and blood cholesterol. Research also suggests that soy may help protect against certain cancers, such as prostate, breast, and lung cancer. Overall, soy is considered safe and a healthy food to choose. Soy products include tofu, soymilk, edamame, soy nuts, and tempeh. So next time you are looking for a healthy snack, try munching on soy nuts or edamame or replace chicken with tofu in your next stir-fry. Calcium is a key nutrient in bone health, and plays an important role in heart, muscle, and nerve function. Some research suggests that calcium may play a role in protecting against diabetes, cancer, and high blood pressure, however, more studies are needed. If you are like many Americans who are lactose intolerant or avoid dairy products for other reasons, you may be wondering how to get in enough calcium. Luckily, there are other plant and fish based sources of calcium to meet your needs, which vary by age and gender. The Food and Nutrition Board of the Institute of Medicine recommends 1,300mg/day for 9-18 year olds, 1,000mg/day for 19-50 year olds in women, 1,000mg/day for 19-70 year olds in men, 1,200mg/day for >51 years in women and 1,200mg/day for >71 years in men. Sources include, almonds, dried beans, green vegetables, such as kale, turnip greens, mustard greens, and broccoli, as well as fish with soft bones that are eaten, such as canned salmon and sardines. Other sources include fortified cereals, tofu, soymilk, and orange juice. There are many different types of potatoes offered today and they come in a variety of shapes, sizes, and colors. Potatoes offer an array of nutrients at an affordable price. Both white and sweet potatoes are naturally low in fat and sodium and are a good source of fiber, with about 4 grams per cup, according to the USDA’s National Nutrient Database. However, most consumers are still wondering, which is better for you? And the answer is, both! White potatoes are loaded with vitamin C, potassium, and almost double the folate (B-vitamin) of the sweet potatoes. However, sweet potatoes are full of beta-carotene (vitamin A), which is what gives them their beautifully orange color. Sweet potatoes have also been shown to be better when it comes to blood sugar control, because they do not raise insulin and blood sugar as high as white potatoes. Take home message: Choose both sweet and white potatoes in moderation to get a variety of nutrients at a low cost. We have all heard the phrase, “You are what you eat” but there is also truth in you are how you eat. The faster we eat, the more we eat and the less we enjoy our food. Both of these can cause us to want more food than we actually need. Try not loading your fork with the next bite until you have swallowed what is in your month. Check in with yourself half way through your meal to see how you feel. Are you comfortable? Did that hunger pain or emptiness in your stomach disappear? If so, then you probably have eaten enough and you should save the rest for later. Learn to make the to-go box your best friend. Some people still believe that cleaning your plate is the only way to have a meal. If the food is so good, why not save half and eat the rest later for a second meal? You get to enjoy the food twice plus it saves your checkbook and your waistline. Have a small, healthy snack before going out for dinner, so you don’t arrive “so hungry you could eat a horse.” Start your meal with a mixed green salad (easy on the dressing) or a broth-based soup to help curb your appetite. Request that the bread basket not be brought to the table or place it at the opposite end of the table. Whether you are eating at home or in a restaurant, always try to get vegetables on your plate. Try to fill half your plate with vegetables and start eating those first to help fill you up before you move on to the meat and potatoes. Mindless eating habits and fast eating can be overcome with practice…one meal at a time.